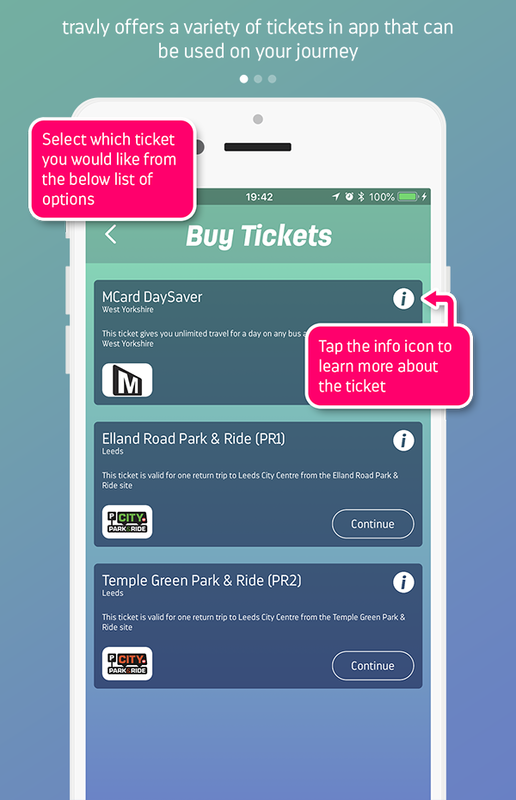 Plan your trip, buy your tickets, and get real time information in one mobile solution. 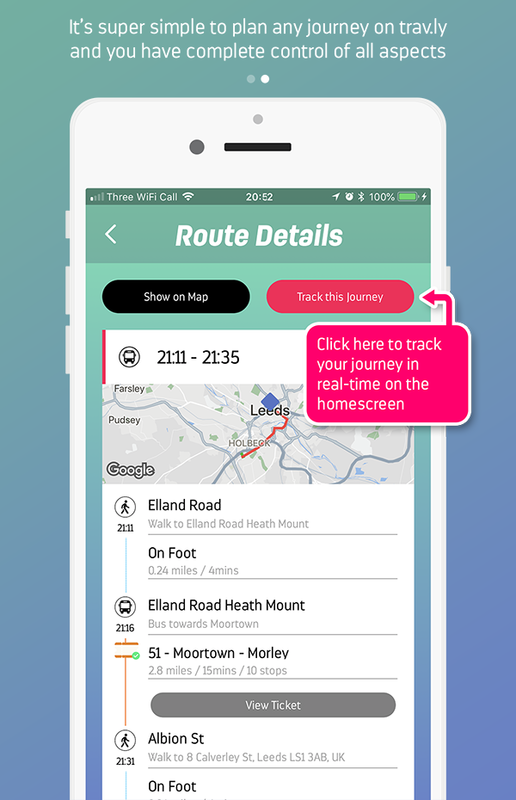 trav.ly is one of the first full service travel apps, delivering your journey from first thought through to arrival. 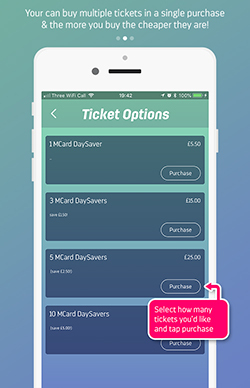 trav.ly goes beyond standard travel planners, allowing you to buy your tickets and get updates on your way. 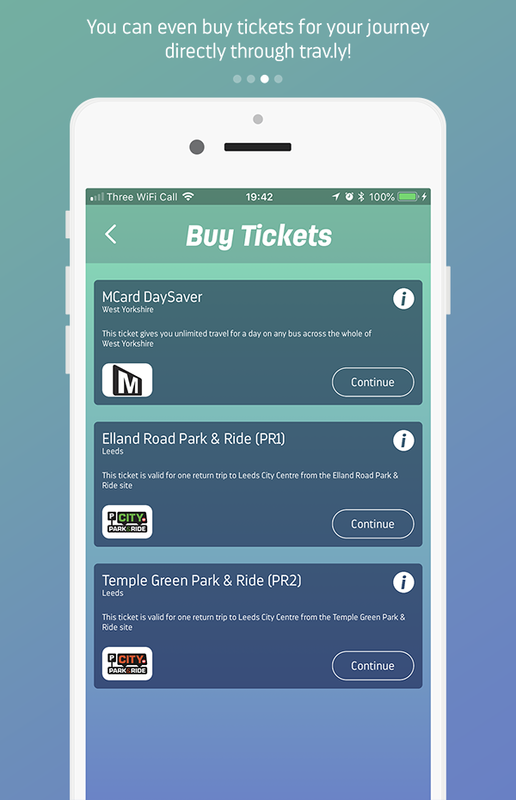 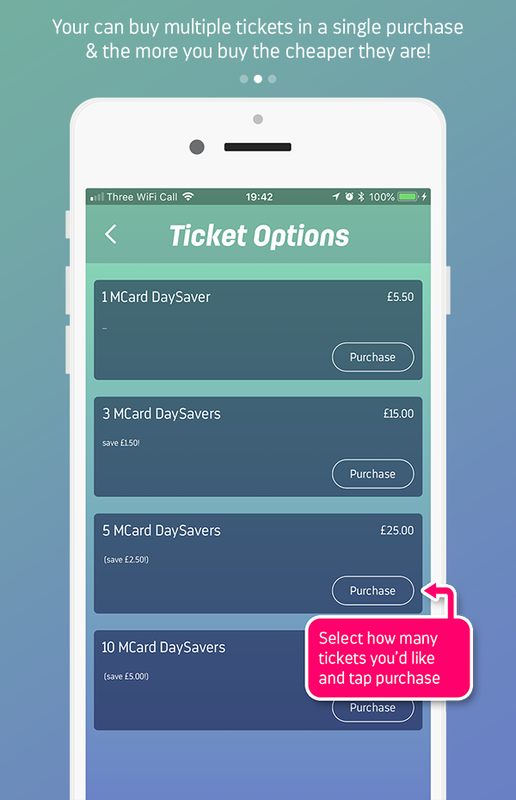 Purchase bus tickets across West Yorkshire and forget the fuss of pocket change and paper tickets. 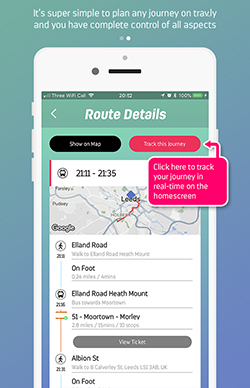 View real-time information about local bus and train to keep updated with delays and cancellations. 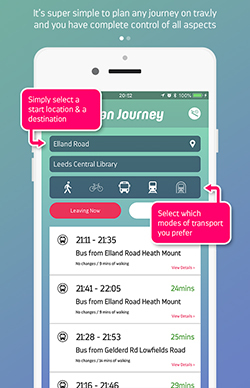 Explore your local travel network and find out what buses & trains go where and when. 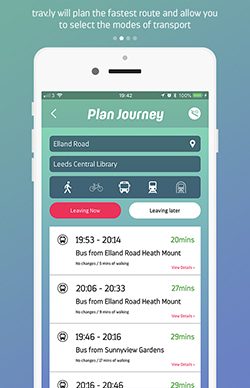 Plan journeys across the UK using your local transport links. 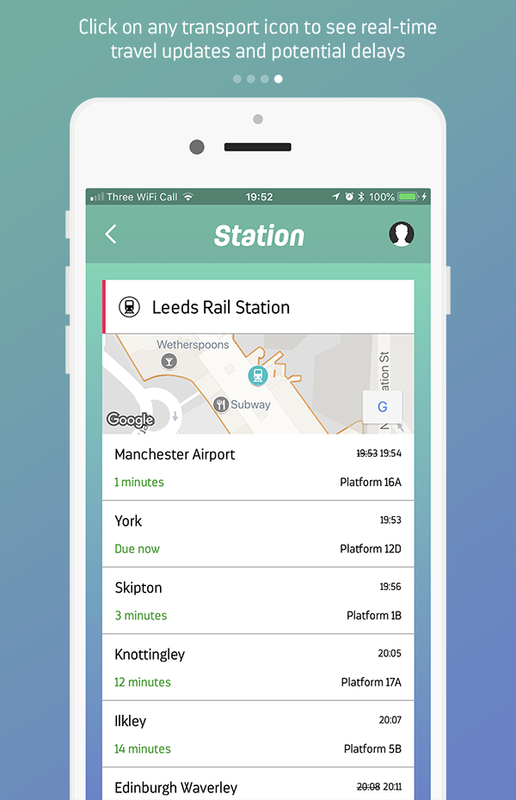 trav.ly is one of the first full service travel apps, delivering your journey from first thought through to arrival . 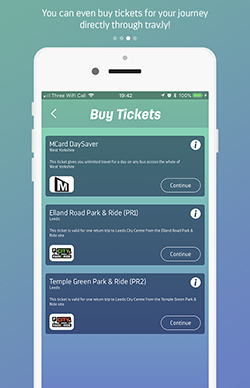 trav.ly goes beyond standard travel planners, allowing you to buy your tickets and get updates on your way. 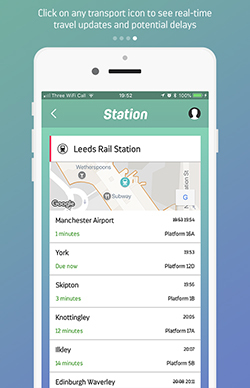 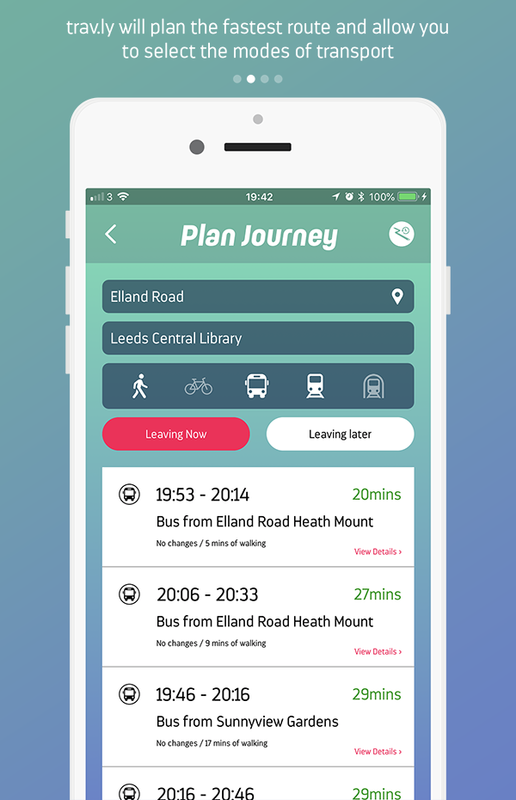 trav.ly has now launched in West Yorkshire in mid-2018, and initially offers full nationwide travel planning on bus, rail, walking and cycling, together with bus and Park & Ride tickets in West Yorkshire, and car club support. 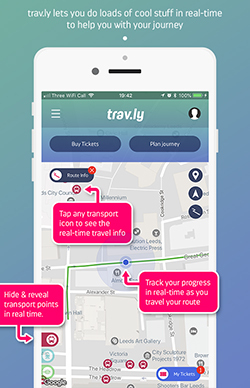 As we expand to rail ticketing and taxi booking, trav.ly will offer the first true full spectrum travel service: all modes, all journey needs. 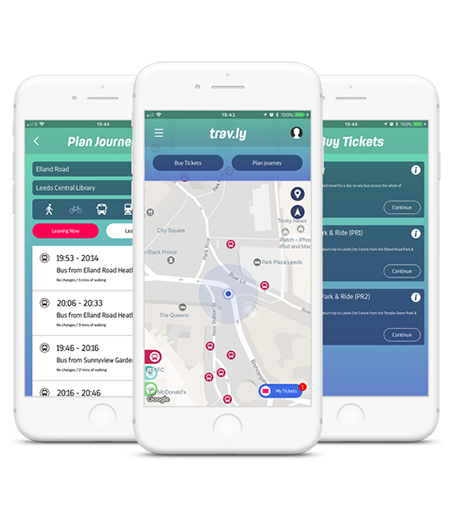 trav.ly is being developed by a consortium of technology and transport providers, who want to offer consumers the ultimate in flexible travel, bringing all your travel methods together in one solution on your smartphone. 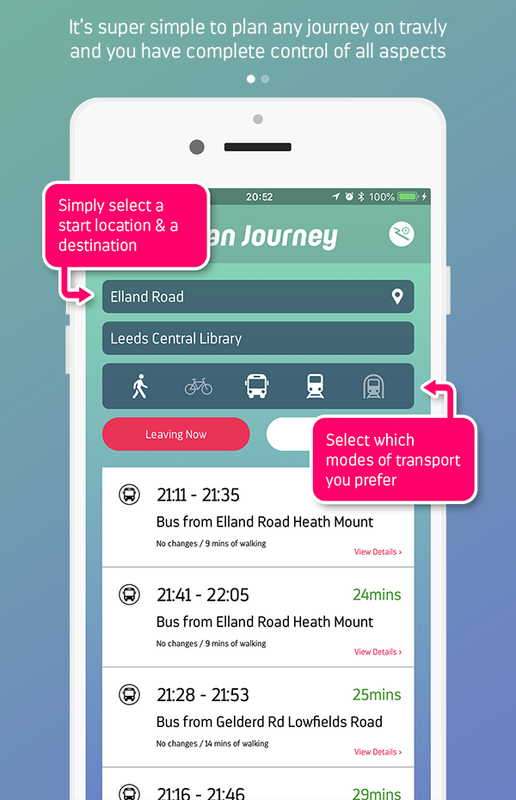 This makes it easier to combine public transport with active travel (walking & cycling), along with shared cars (taxi, car club) when you need them. 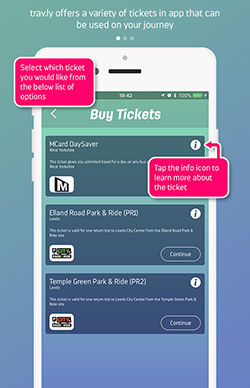 This capability saves consumers money and time and delivers health and environmental benefits for the community. 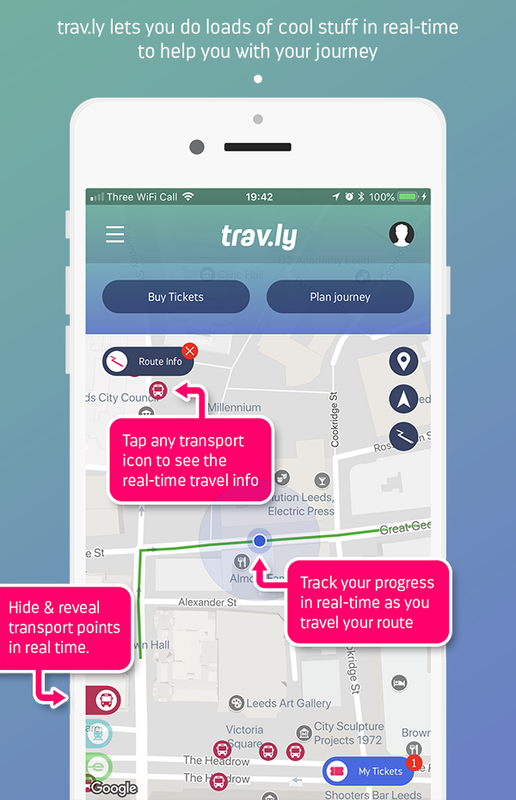 By delivering travel needs in one app, rather than the half dozen a user might currently have to flip between, trav.ly puts integrated, smarter travel right in front of the consumer. 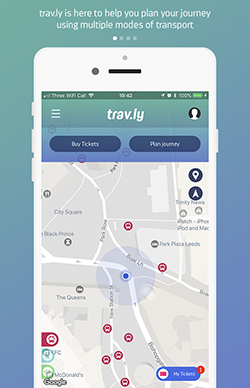 We are currently working to expand trav.ly to other UK metropolitan areas. 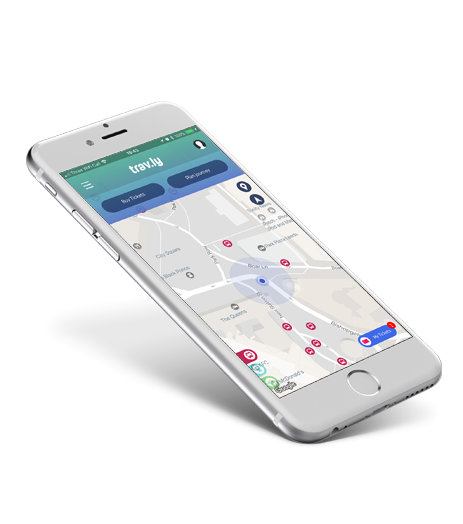 Do contact us at hello@trav.ly if you would like to work with us in your area.